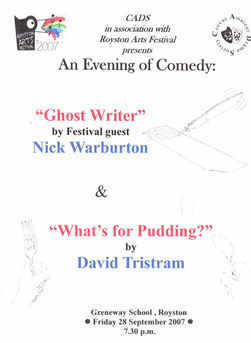 "Ghost Writer" was presented as one half of a double bill entitled "An Evening of Comedy" at the 2007 Royston Arts Festival. The other half of the bill consisted of the one-act play "What's for Pudding? ".